Reserve police officers are required by the California Commission on Peace Officer Standards and Training (POST) to meet the same selection standards (e.g. personal history investigation and medical and psychological screening) as full-time regular officers. California POST Commission outlines the minimum training requirements for reserve peace officers. 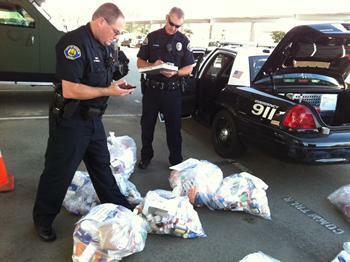 Rocklin Police Reserves are non-paid volunteers, but are still sworn peace officers. All Rocklin Reserve Police Officers complete an in-house training program upon being hired prior to any Patrol training in the field. Once a reserve police officer has successfully completed our in-house training and has attained Level I status they may elect to enter the Field Training Officer (FTO) program. For more information on becoming a Reserve Police Officer, please visit the California Commission on POST RPOP website. To learn if we are hiring and to obtain an application to become a Rocklin Police Department Reserve Police Officer, please visit the City of Rocklin Human Resources website.